Bigger mans better right? That’s what the designer’s at Airstreak thought when They made the B-747. NOTE: This is a prototype version. It is very much still WIP i will release the full version when it is finished. 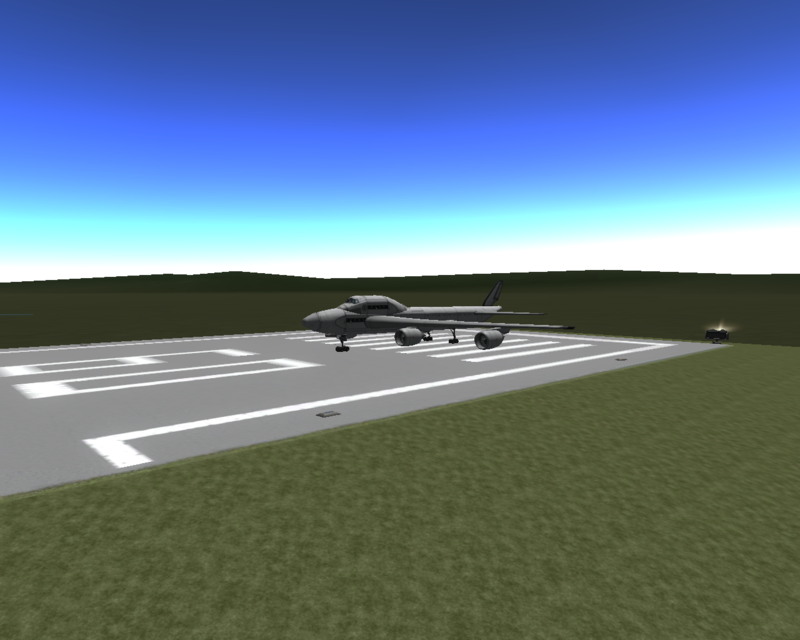 Action groups 1:Toggle engines 2:Toggle Flaps 3: Toggle reverse Thrust 5: Cargo Bay Doors 6: Cargo Loading Ramp. A mod aircraft called Airstreak B-747 prototype. Built with 66 of the finest parts, its root part is mk3Cockpit.Shuttle.